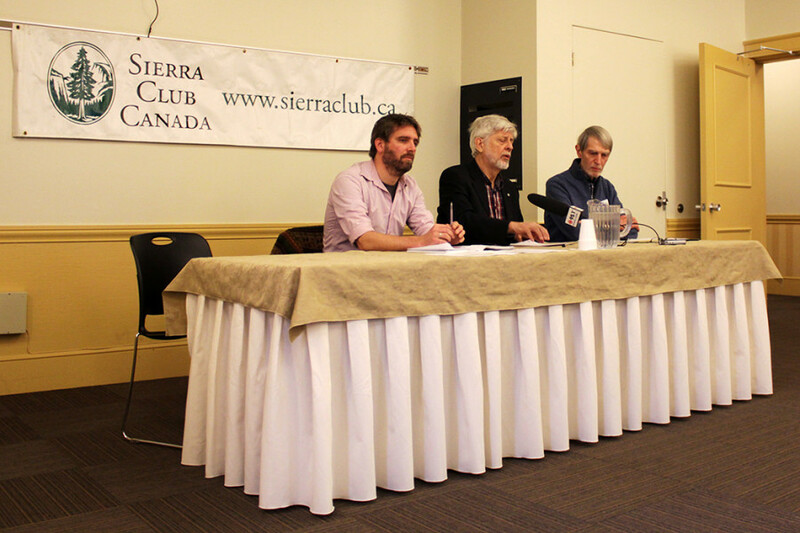 Floris Ensink, president of Sierra Club Quebec, hopes to hear back from the city in the new year. “I’m sure they’ll reach out to us, but I’m sure that with them we’ll have to put more effort to make sure this moratorium is actually put in place,” he said. Sierra Club launched a petition on Sunday night calling for a moratorium on building on the island’s remaining green spaces. Ensink says ongoing land use tendencies violate city laws for sustainable development and the right to a healthy environment. The organization is also crowdsourcing a map of the status of green spaces on the island. A representative of the city could not be reached for comment. Lawyer Ricardo Hrtschan is working with environmentalists and has launched two lawsuits related to the western Pierrefonds development near l’Anse-à-l’Orme nature park. A 5,000 unit development is planned for an area of overgrown agricultural land. One lawsuit involves the protection of the land, which Hrtschan says was “illegitimately” rezoned from agricultural land. The second suit counters a dirt road built in 2006 through marshland without authority, he added. “We’re asking that this road be removed and that natural spaces be restored,” he said. Citizens groups like Sauvons l’Anse are working on studies on the wildlife living on the land, according to the lawyer. The studies should be released next year. On the other side of the island, Sierra Club Quebec fears a golf course surrounded by industrial areas in Anjou could eventually be developed as well, since the golf couse is not considered a protected space. Ensink wants the city to designate Golf Metropolitain Anjou a protected area, which along with the Pierrefonds land, will add 300 hectares of designated natural spaces to the island’s land use plans. At a press conference Monday, environmentalists suggested developing and decontaminating former industrial areas on the island, like the old Hippodrome, instead of halting all new projects. “We have more brownfield than greenspaces in Montreal,” said Al Hayek, who was active in protecting Meadowbrook golf course in Montreal West from development. Hayek referred to the Angus yards in Rosemont, which used to be an area of old Canadian Pacific railyard shops before it was developed into a community with social housing, and commercial and industrial components. In 2004, the city of Montreal announced that 750 hectares of wooded areas—the size of the entire Plateau–Mont-Royal borough—had been lost between 1992 and 2001. David Fletcher from the Green Coalition believes as much as 1,000 hectares of natural spaces was lost in that period. Since 2004, the agglomeration of Montreal has committed to protecting more green space. According to the city’s development plan released this year, only 5.8 per cent of land is protected. A protection target of 10 per cent of the island’s territory set this year has no deadline, Fletcher said, and can’t happen if any more green space is developed. “We’ve now arrived at a point where it may be impossible to find those spaces to make up that 10 per cent,” Fletcher said.